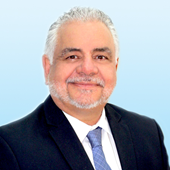 Gabriel Calvo is a seasoned Corporate Real Estate Consultant at Colliers International. 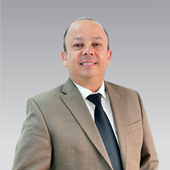 He has been actively and aggressively involved in the commercial real estate market of Costa Rica for the last 12 years. His passion for the business and the reality of the real estate market in Costa Rica have driven him into getting involved in a whole array of services: Investment, Corporate Real Estate consulting, Market Analytics, Tenant Representation, Site Selection for diverse tenants: Call Centers, Shared Services, BPOs, Retail, Industrial, Logistic and more. Due to the real estate boom experimented years ago in the country his involvement in the real estate market started with a job working for a Hotel Investment Group analyzing Hotel Investment Assets. He then pursued the involvement in a Commercial Real Estate Firm and got recruited in NAI Costa Rica, in which he was involved in transactions amounting for over 40,000 (Forty Thousand) sqm in the different markets in the country; with requirements that include Corporate, Investment, Industrial and Retail needs. His network and provided results with the major developers and investors (private and public), as well as with the business community, has earned a reputation for his integrity and professionalism in the country. His clients included Corporate clients (Such as avVenta-global digital production firm that as of today was acquired by Accenture), Government Institutions, Commercial Real Estate Developers (such as Genesis Desarrolladores), Investment Banking firms (such as Improsa Capital), major QSRs and retailers (such as KFC and McDonalds) and a significant group of national commercial real estate developers and investors. He was then recruited to handle the marketing and sales division of one of the most respected commercial real estate development firms in Costa Rica, Genesis Desarrolladores. Later he stepped up as the commercial director of Integra Kapitales, and Investment Banking and Real Estate Development firm, handling a portfolio of real estate projects that included from a Mall to a diverse array of residential projects. As of today, he works as a Senior Advisor of Corporate Services in Colliers, involved heavily in the Industrial & Logistics Division. Instituto Nacional de Seguros de Costa Rica INS, Samboro, Aimar, Diageo, Desarrollos 506, WNS, Avventa, Popeyes, McDonald´s, Amway, Walmart, Infosys, Coyol Free Zone, Green Park Free Zone, BES Free Zone, Grupo Montecristo, Urban Partners, Cuestamoras Urbanismo, Mercado de Valores, Improsa Capital, Acobo, Aldesa, Crowley, British American Tobacco Company, Garnier & Garnier, La Lima Free Zone, Grupo Numar. He has worked in the regions of Central and South America. He has demonstrated skills in commercial areas and his service orientation allows him to implement solutions according to the needs of corporate clients. His experience in corporate clients and his orientation to the service of excellence, has been complemented with a vast academic training, has allowed him to successfully manage the formation of a high performance team and the development of support areas such as Market Research and Marketing . A vast professional experience in client relationships in the Latin American region, in services and logistic solutions for industry sectors as Pharmaceutical, Telecommunications, High Tech, Oil, and Consumer Goods. Corporate Solutions, Comercial Real State, Office,Retail, Industrial and Logistic ,Hospitality,Development Projects,Educational , Financial Sector and Investment services. Successful management of large real state projects for corporate companies. 3M-Bimbo-Equifax-Cargill-Mabe-Fedex-Oracle-Banco General-Lafise-BCR-INS-Encore-Coca Cola Interamerican-Brillo-Mabe. Associate Consultant for the magazine InversionInmobiliaria, La Republica Newspaper , for real state strategy . Professional with 7 years of experience in the Costa Rican real estate market at Colliers International, where the knowledge of the market is highlighted, which generates an analysis of the requirements of my clients, achieving through an excellent advice the successful closing of important transactions. Some of the clients that make up the work portfolio are: Hanes Brands, Kimberly Clark, Coca Cola Company, Bimbo and Incesa Standard. My experience allows me to offer the services of Representation of buyers (Site Selection), Marketing of assets (Tenant Represention), Development of turnkey projects, Development of projects (Built to Suit) and investment products. I also highlight my experience in the management of corporate accounts with the supply or sale of Oracle products and tourist customer service as a Cruise Administrator of 5 and 6 stars.